Dealing with annoying blackjack players is just another reason why playing online blackjack at your own pace can be so much better, but for those nights where you crave the ambience of real life gambling, these are the kind of moves you want to avoid making so that everyone else isn’t counting down the minutes until you leave the table. Playing blackjack at a real life casino is one of our favourite things; there’s not much of a better rush than that excited buzz of suspense in the air, especially in the glamorous surroundings of a high end venue like Melbourne’s Crown Casino. If there’s one sure fire way to bring down the vibe, it’s when you find yourself stuck at blackjack table with one of ‘those’ players; the kind that just pull every annoying move in the book, killing the buzz on your game. This can be especially frustrating when you’re in the middle of a winning streak and don’t want to leave the table. This one really gets our goat; there may not be a more blood boiling blackjack situation than having some random telling you how you should play your cards, and unless someone happens to ask your advice about their next move, just zip it. Trying to offer unsolicited advice to another player is just plain arrogant and obnoxious, plus it holds up the game for the rest of the punters so even if you think you can offer some lucrative words of wisdom, just keep your opinion to yourself. Drinking and gambling are two things that go together; it’s deeply engrained in our culture. But just because a couple of nice whiskeys go down well at the blackjack table, doesn’t mean you should pour booze down your throat like you’re hitting up a nightclub. There’s almost nothing as cringe worthy as watching another punter get drunk and rowdy, making rambling conversation and slowing down the game or just making a general jackass of themselves; you don’t ever want to be that guy. 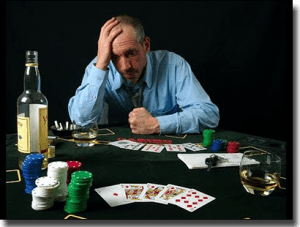 If you’re at the casino with the exclusive intention to drink, then just do it at the bar and save other players the frustration, not to mention saving yourself money that you’re bound to lose when gambling without inhibitions. This is not only good human etiquette but is also one of the golden rules when playing blackjack at a land based casino. You’ve probably found yourself in this situation before, where the player before you was dealt a card that you thought should have been yours and your first instinct was to feel infuriated at their decision to play their hand. Take a moment to think about how ridiculous this is and never voice your rage at your fellow players. It’s not uncommon to see a player shift positions around the blackjack table, completely convinced that another player’s position in the deal is their reason for being on a winning streak. Always remember that the actions of other players at the table have no effect on the possibility of you having a winning hand and accept that as with any other card game, blackjack relies on equal parts luck and strategy. One of the most highly engrained strategies for experienced blackjack players is to not hit on a soft 18, so it can be painful to share a table with another player who insists on doing so. As mentioned above, no matter how infuriating it may be to watch a player hit on soft 18, keep your opinion to yourself. Blackjack strategy is not foolproof, and many pro players even recommend hitting on soft 18 under certain circumstances, so don’t assume just because someone’s hitting on soft 18 that they don’t know what they’re doing – this may in fact by a calculated move. Touching the cards at a casino is typically off limits (unless of course you’re dealt face down cards), but you’ll still find the odd player who can’t resist the temptation to straighten up their cards, or shift cards a little to get a better reading. The dealer will immediately tell them to stop, and under some circumstances may even ask them to leave on the assumption of cheating, which is an incredibly annoying way to hold up your game. When receiving face down cards, remember to only touch the cards with one hand and be gentle with them without bending or damaging the cards. If you’re the kind of perfectionist who can’t help wanting to neaten up your hand, just let it go. Don’t touch cards on the table under any situation unless you want to be the most hated player at the table who runs the risk of being kicked out. This is another big no-no when gambling at a real life casino. The dealer is not there to be your own personal blackjack adviser and it can be blood-boiling when seeing new players asking the dealer how they should play their hand, wasting time for everyone. A dealer is entitled to give advice, but if they do it will usually be pretty vague as it can’t be their responsibility if the advice doesn’t work out for you, so just avoid asking altogether, it will be more comfortable for everyone. This may sound like an obvious one but you’d be surprised at the amount of casino goers who take a place at the blackjack table and throw in a bet without having any clue what they are doing. While this is fine as the casino is there for newbies as well as experienced punters, if you’re going to participate in a game of blackjack it’s important that you know the rules of the game before you sit down. The casino will provide information or you can look it up online, but don’t waste other player’s time or your own money before having at least a basic understanding of what’s going on. If you’re standing by a table with the intention of simply watching a game, perhaps to support your friend or because you’ve already exceeded your bankroll for the evening, learn to be a good spectator. A good blackjack spectator will keep their opinions to themselves and maintain decent behaviour without becoming loud or unruly, while following all the advice above. The alternative: if you’re located outside of Australia in a country that allows online gambling, play blackjack online instead. 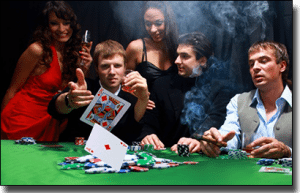 You’ll not only avoid all of these annoying blackjack scenarios but will also save all the other hassles involved with real life casinos, like long lines, expensive parking and higher minimum bets. International readers, check out our recommended safe casinos to play real money blackjack.